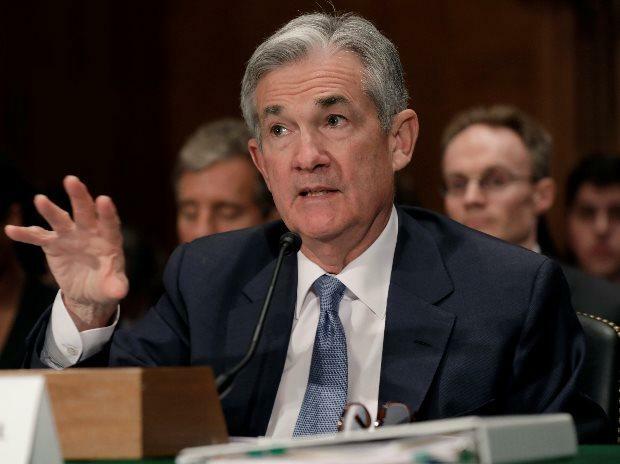 Federal Reserve Chairman Jerome Powell signaled the central bank could pause interest-rate increases if the U.S. economy weakened and pledged he will stay at his post even if President Donald Trump presses him to resign. Invoking events of 2016, when the Fed held rates unchanged through most of the year amid financial market turmoil spurred by concerns over slower growth in China, Powell said he’s “listening sensitively to the message that markets are sending” about downside risks. The dollar weakened, Treasury yields advanced and the S&P 500 Index closed 3.4 percent higher as investors bet the Fed chairman would wait and see how the economy performs before raising rates again. Powell’s Fed hiked rates four times last year and projections from its Dec. 19 meeting show officials expect two more hikes in 2019. Sliding equity prices, weakness abroad and mixed economic data at home have prompted calls for the Fed to put rates on hold, but the U.S. labor market remains strong. Data released earlier on Friday showed U.S. employers added the most workers in 10 months as wage gains accelerated. Powell called the employment figures a “very strong report,” though he showed no anxiety about the advance in wages. “Average hourly earnings moved up and that’s quite welcome and also for me at this time does not raise concerns about too-high inflation,” he said. “This seemed like a pretty well-coordinated message,” said Julia Coronado, president of Macropolicy Perspectives LLC in New York. “They can be patient. He said the word patient. I think that they’re signaling a pause.” That suggests the Fed won’t tighten again in March, she said. In response to questions, Powell also signaled a willingness to include changes to the Fed’s gradual run-off of its balance-sheet in any review of monetary policy. Trump has for months criticized the Fed chief for raising rates, and Bloomberg News reported Dec. 21 that the president had discussed firing Powell. The Fed chairman, responding to a question about what he would do if Trump asked him to step down, said he would not resign. Fed watchers have said that the bar is very high for the president to remove Powell “for cause” as the law appears to require, provided Powell decides to fight the dismissal in court. Friday’s event offered a rare show of public unity by a sitting Fed chairman and his two immediate predecessors, who were asked about Trump’s apparent disregard for the institution’s independence. American presidents of the past quarter-century have kept private their opinions about Fed policy so the Fed can focus on employment and inflation rather than feel pressure from the short-term wishes of politicians. “Everyone would be better off if it was clear that the Fed is making its decisions based on its mandate and on its assessment of the long-term needs of the economy, which I’m completely confident that they will do,” Bernanke said. The next meeting of the Federal Open Market Committee is set for Jan. 29-30, and Powell plans to hold a press conference after that gathering as he will after each FOMC meeting going forward.